For this special 10, we are nominating 2 songs each that are considered "Summer songs" or have something to do with Summer. 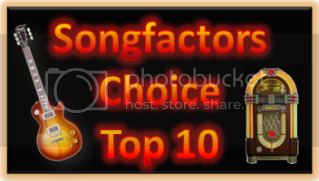 It does not matter if the song has previously made the top 10 or not. Thanks, Edna. You're a sweetie. still trying to decide for the other, voting should start tomorrow night or on Saturday. Hoping to get more nominations in. We may have to fine PinkStones for being late. I'm wild and crazy guy! Wow...this may be tougher than The Stones special....I love all these songs! I can see to compute again (hooray!) .... so I'm playing Kenne. Let me scrounge around for some songs. Here is a suggestion .... if you need a 3rd nom from each of us, how about we add a third song that is less specific .... more just a song you associate with summer? It would give us a more diverse list to vote from. Either way please please can we do 3 songs, lol? I've got more.